32 youth delegates. 40 consultations with youth and experts. 3 days of intense in-person collaborative sessions and meetings. 1 final Call to Action – to influence national leaders at the 2018 G7 Summit. And in the middle of it all? 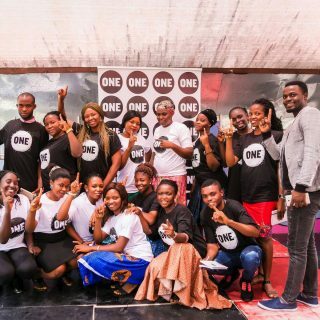 2 ONE Youth Ambassadors. This year’s Youth 7 – a formal G7 Engagement Group Summit – took place in Ottawa, Canada for young adults to discuss gender equality, the future of work, and climate & environment. We were tasked with finding policy recommendations that would best reflect the needs and wishes of the millions of young people across the G7. Ultimately, these will be presented by Canadian Prime Minister Trudeau to the rest of our political leaders at the G7 Summit in Charlevoix this year. The two of us — Luisa and Vanessa — made up half of the German delegation! 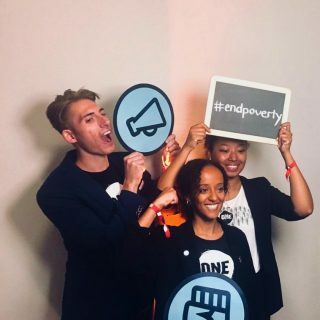 In 2016, we became ONE Youth Ambassadors committed to fighting extreme poverty and preventable disease and now we were about to fly to Canada together to talk global politics! Ahead of the Summit, we met our co-delegates – Simon and Daniel – and went through five days of extensive preparation. At this point, online negotiations with our international counterparts were already in full swing. In Ottawa, we got to meet the other delegations in person, find consensus on our policy recommendations, meet with a plethora of stakeholders and political representatives (such as Madame Sophie Gregoire Trudeau!) and gain insight in the themes of our respective working groups. On our last day, this incredible experience was topped off with a direct meeting with all G7 Sherpas (the ones negotiating on behalf of their countries) to discuss our proposals. 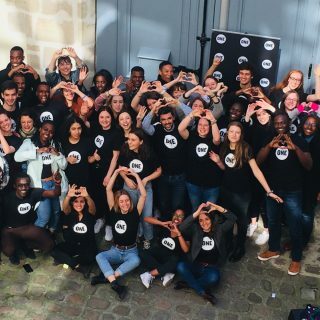 This had never been done before and we are proud to have been part of this huge step towards more youth participation and a more inclusive decision-making process! From our point of view, the Y7 was a great success. The Y7 recognised that girls and women living in extreme poverty are most vulnerable to gender disparities, therefore, we proposed that our respective nation’s ODA should amount to 0.7% of their gross national income. We also proposed that the allocation of the funds should primarily focus on providing women with fundamental human rights by removing systematic barriers to basic financial services, quality education, and land tenure. #PovertyIsSexist and it needs to stop now! It was truly incredible how much knowledge was shared in such a small amount of time and we really cherished every minute of fruitful discussions, keynote speeches, late night working sessions, and fun. 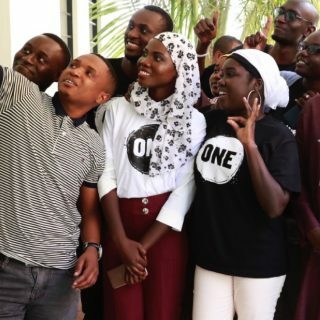 We were all there for the same reason: to be bold, pragmatic, inclusive, and, most importantly, we wanted youth voices to be heard and taken into account by our leaders. Their decisions will have a massive impact on the world that we will live in for the rest of our lives. The Summit is over, but our work does not stop. Until the G7 Summit in June (and beyond!) we will join our fellow delegates to knock on every door — and we’re counting on you, too! Read our Call to Action here and never stop using your voice. Luisa, a ONE Youth Ambassador from Germany, studies Geography and Journalism. She is also head of the German Delegation to the 2018 Youth 7 – the youth summit of the G7. Vanessa, 23, is a German psychology student and ONE Youth Ambassador with a passion for development cooperation and global politics. She represented Germany at the Y7 as a delegate for gender equality.